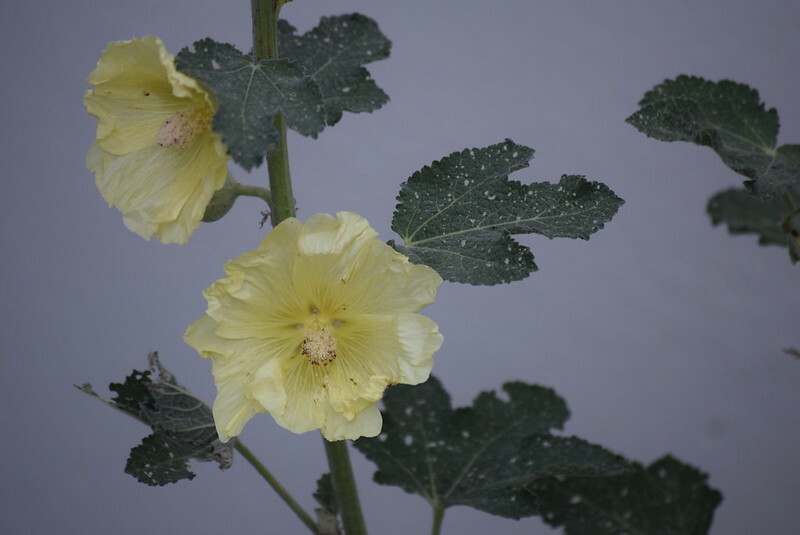 Hollyhocks conjure up such memories in my mind.. Did you ever make hollyhock dolls? I don’t recall ever seeing hollyhocks ‘in person.’ You grow these in your garden, also? So pretty. They grow quite well from seeds. I have yet to grow those. Brent (my colleague) insists that if I do, I must grow the black ones. I probably would, along with white ones of course. I like the dark red ones too because there are not many flowers that do that color as well. They are darker than burgundy red. Once I got my driver’s license, I used to borrow a 1978 Electra for dates that was about that color. It was RAD! They might have survived there for decades. It is not something that was planted commonly during the past few decades; at least not here. They only recently made s comeback. Newer varieties do not self sow as well as the old ones did.